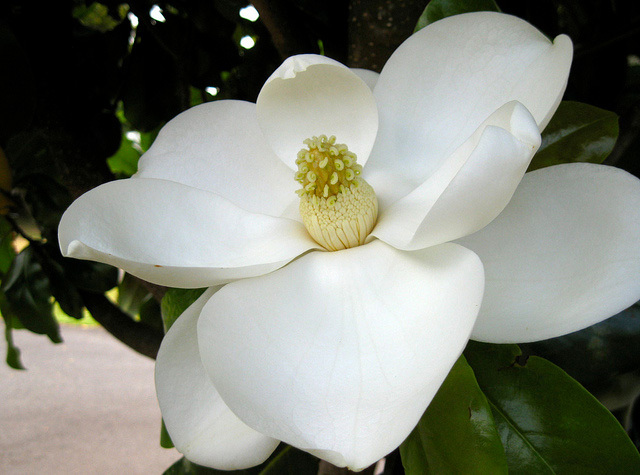 Southern magnolia flower; photo by Rosa Say on Flickr (noncommercial use permitted with attribution / no derivative works). Louisiana designated Louisiana My Home Sweet Home (by Sammie McKenzie, Lou Lavoy and Castro Carazo) as an official state song in 1952. God bless our lovely state. It's a paradise right here on earth. That light the Heaven's silvr'y dome. Louisiana, my home, sweet home.